Technically the International Holocaust Remembrance Week started April 27 and continues through May 4, 2014, but I’ve been busy sharing the event since April 5. We kicked off the month with a special library presentation at the Reno Northwest Library. It was a warm day for early April and I was already sweating before the event took place. 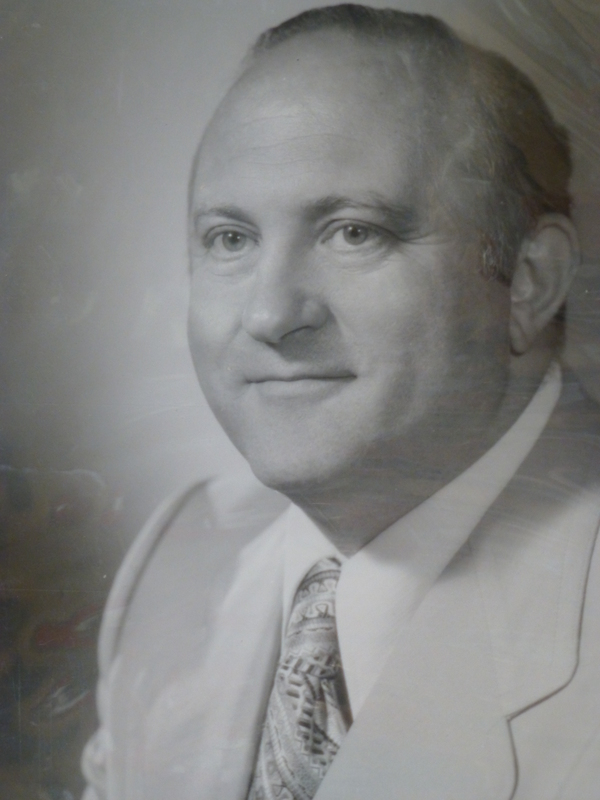 I was speaking for forty minutes about my father-in-law, Joseph Kempler who is a Holocaust survivor. People crowded into the room, which when empty looked plenty big enough. Soon, we had to scramble for more seating. Finally, people and children sat on the floor or stood in the two doorways, eight people deep I was told. We had 188 in attendance! This was a number beyond my expectations. But, it goes to show that people, young and old, are intently interested in the Holocaust. Carla Trounson, the librarian, prepared the room beautifully. The soundtrack to Schindler’s List was softly playing in the background. It matched the mood perfectly, somber and thought-provoking. While I was speaking about Joe’s life during 1939-1945 I had a slide show presentation of family photos. After the biography and description of the six concentration camps where Joe was imprisoned, we had a Question and Answer session. 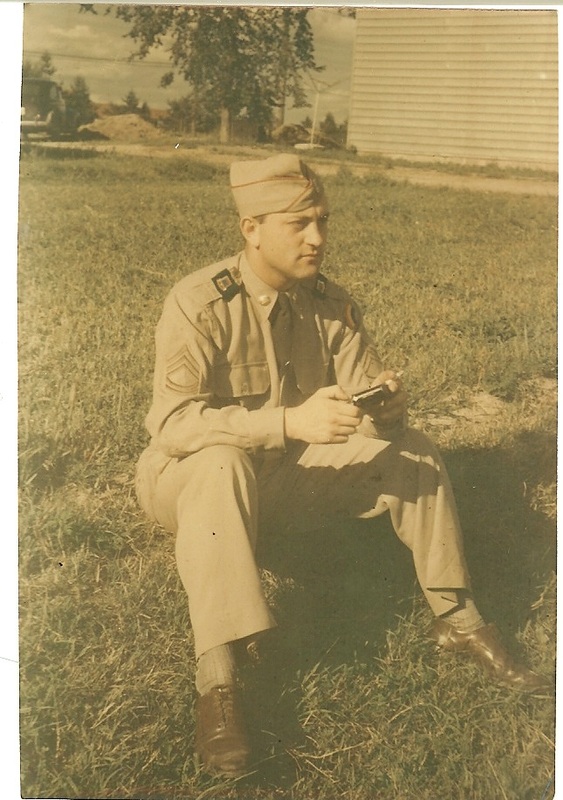 One of the questions was, ” How did you get all the old photos of your family?” The answer is simple: Joe’s sister survived the war. She and her husband, Jack were hidden in the home where he taught the daughters violin. 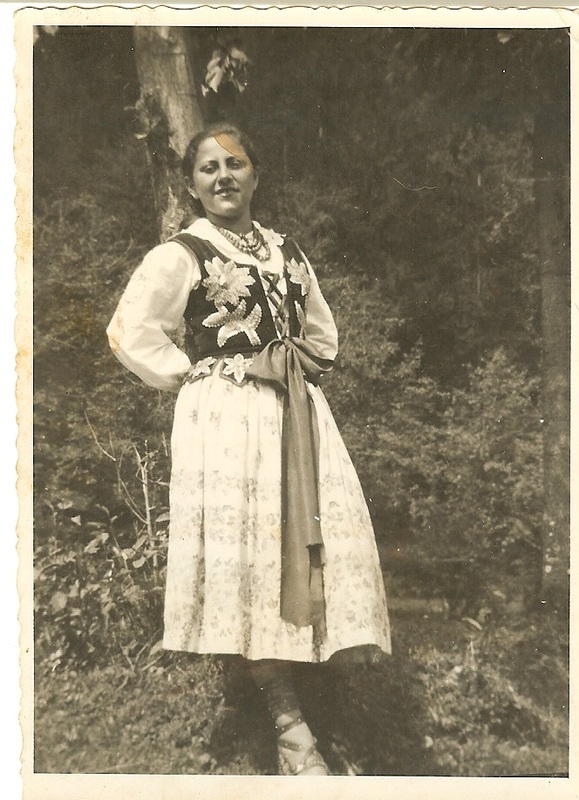 Dziunka, Joe’s sister, was able to smuggle some family photos into hiding with her. What a treasure for us! I’ve been sharing them on a special Pinterest board. After the Q & A we had a book signing! Joe was asked many times by students if he would take a picture with them, and if they could hug him. That’s the most popular request Joe gets: Can I hug you? By all means, yes! Next Joe, Paul, and I were invited to the second annual Day of Remembrance, hosted by Osher Lifelong Learning Institute (OLLI), and UNR, in partnership with the University’s Interfaith Students Club. This was the second annual Day of Remembrance for the University. I was asked to speak on the subject of genocide. Genocide is a term that didn’t even exist until after 1944. I thought it would be interesting if I shared the stage with Paul, a second generation Holocaust survivor. Who better than to talk about how he was affected personally by the Holocaust? There were other fantastic speakers. A particular highlight for me was the testimony of another survivor named Lydia Lebovic. She held the audience captive with her harrowing tale of survival in Auschwitz. Vic Thompson, a World War Two veteran, who participated in the liberation of Landsberg concentration camp, contributed his heart-breaking essay “Just One Page from the Holocaust.” This was a beautiful, yet sad, night to remember. At The Great American Authors Expo I was scheduled to read some excerpts from my book THE ALTERED I: MEMOIR OF JOSEPH KEMPLER, HOLOCAUST SURVIVOR. This was a great honor and a fantastic opportunity to draw awareness to the Holocaust during this month of remembrance. Two young ladies present said they came specifically to hear the reading. They were touched and purchased three books! Next on the agenda was an author appearance at the local Parent Teacher Aids store. A pretty amazing store if you haven’t checked it out yet. Inside is every kind of tool to help teach kids in a fun and colorful way. I was able to speak to a couple of patrons about the Holocaust and hand out some sample chapters and book marks. People really respond to the subject of the Holocaust and everyone I meet who is interested in the THE ALTERED I (as I like to shorten it!) feels very deeply about it. So, while I am exhausted from all the wonderful activity, I’m proud too. As one reader of my Facebook Author Page put it: “Thank you April Kempler for educating and being relentless about this.” – N. S.
I have done my job! If you would like to read THE ALTERED I it is available on Amazon.com, Google Play books (there are excerpts from the book you can read here), and on the nonfiction table at Sundance Books and Music, Reno, NV. Also, please visit my author page on Facebook and click Like. You’ll get updates to future speaking engagements and book signings! Thanks! Question: Did any of your family survive the Holocaust? Joe: Yes, my sister Dziunka (Judy) survived. She and her husband were hidden by a Christian family, an early group of Jehovah’s Witnesses. 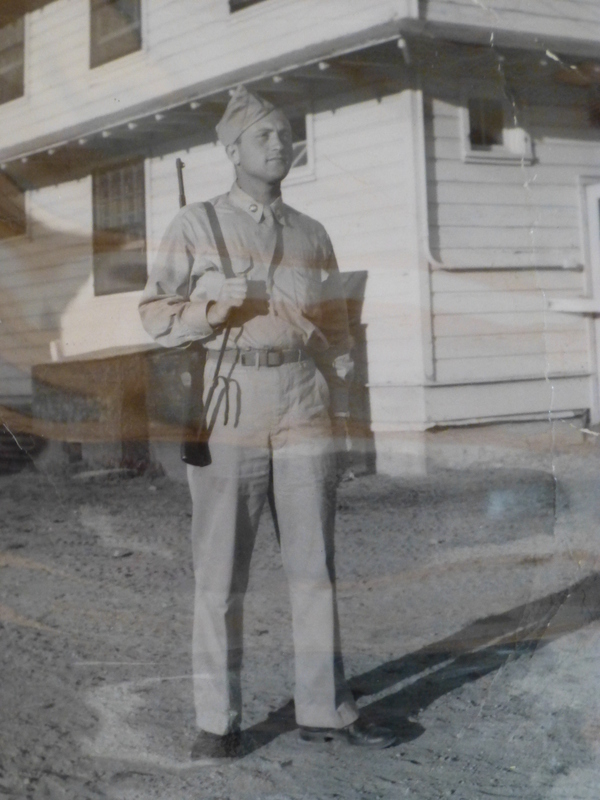 I began looking for any surviving members of my family after liberation. I asked anyone I met if they had known or heard of my brother, my sister, or my mother and grandmother. One man said he knew a Dziunka Laub that she was in a displaced persons camp in Germany. I wrote to her: Judyta Laub (German for Dziunka) Someplace in Germany. I gave it to him. By some miracle this man delivered the letter to her and she made her way to Linz, Austria, where I was staying and found me. Together we went to the displaced persons camp in Landsberg, Germany. Question: Did you ever find out what happened to the other members of your family who didn’t survive? Joe: Some of them. 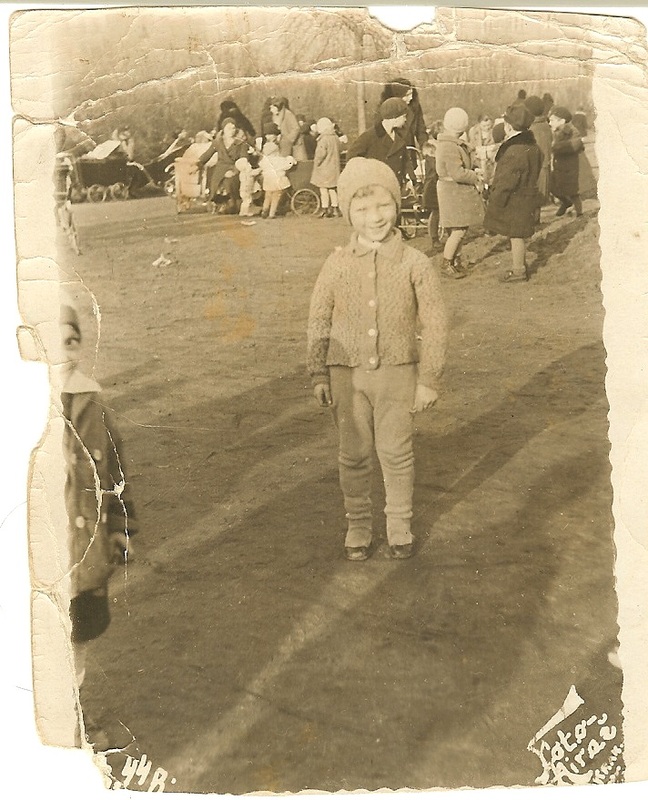 My father, Max died in the Bochnia ghetto of a stomach ailment. My mother, Malka and Babcia (grandmother) were transported from Bochnia to Auschwitz, and it is my belief that they died there. 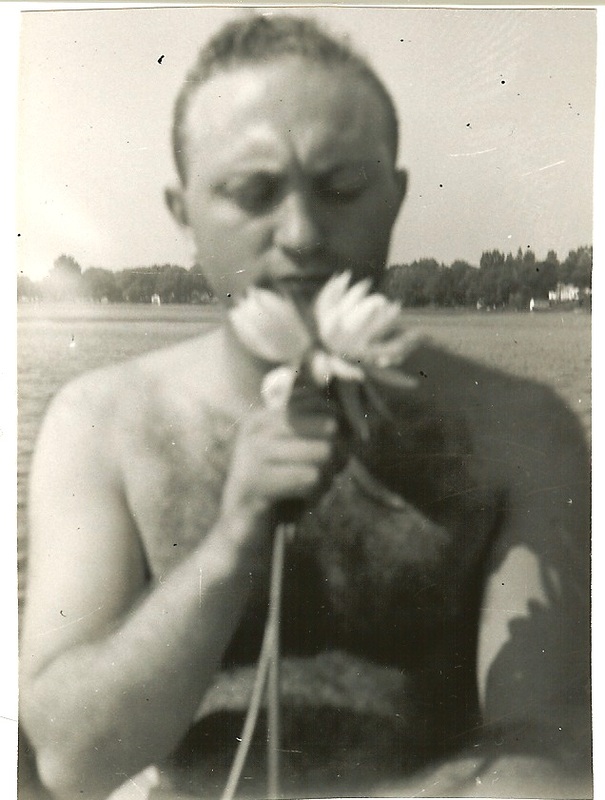 My brother Dolek was with me from Rackowice, to Plaszow, and Mauthausen. 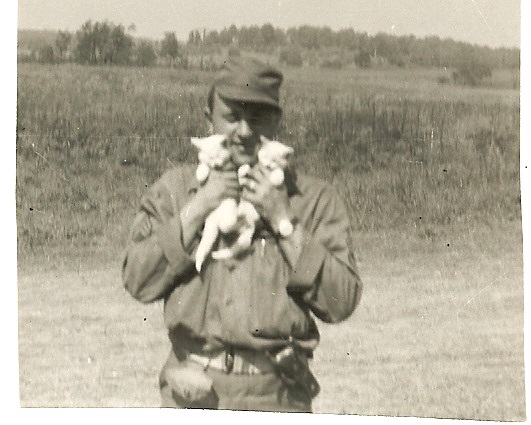 We were separated in Mauthausen and I never saw him again, but I found out that he died of typhus in Gusen. Question: I notice from the photos that you were in the National Guard. Considering all the things you experienced in the camps why did you join the National Guard? Joe:The Korean War had started, and I wanted to avoid the draft. A very good friend of mine, Leon Sperling, who I went through Landsberg DP camp and knew in New York, came to me one night and said that the draft law went into effect at midnight, but if we joined the National Guard we could avoid it. So that is what we did. Question: You only had an education to the fifth grade level. What kind of work did you do after you came to this country? Joe:I did a lot of different jobs. When I was in the DP camp I went to a radio school, even in the National Guard I was in communications. I had a strong interest in Hi Fidelity sound and gravitated to that field. I worked at Jewel Radio as an assembler, and then moved on to Fisher Radio. I was looking for work in electronics and was hired by American Measuring Instruments Corporation. Near the end of the 1950s I started work with Audio Devices which was bought by Capitol Records. I worked in the tape division, for over 30 years until Capitol Records closed that division. To read more about Joseph Kempler click for excerpts from his memoir THE ALTERED I: MEMOIR OF JOSEPH KEMPLER, HOLOCAUST SURVIVOR. Available on Amazon.com and Google Play. Joseph Kempler was born in Krakow, Poland in 1928. He was raised in a Jewish Household. His father’s name was Max, mother Malka, an older sister Dziunka and one older brother named Dolek. 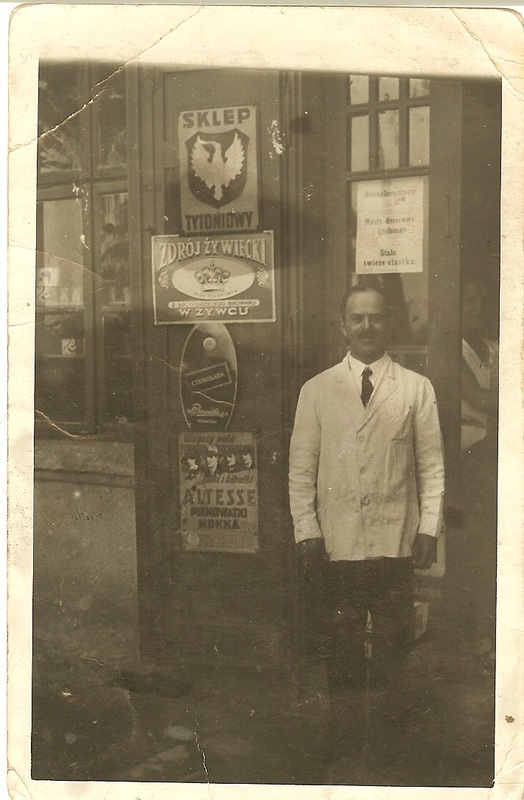 The family worked in their own restaurant called a szynk in Polish. It served popular Polish food such as a spiced sausage known as kielbasa, and potato dumplings called pierogi. Malka Kempler made desserts and other treats for the customers. When World War Two started it came as something of a surprise to eleven-year-old Joseph. When he saw the planes flying overhead he thought it was maneuvers, his country practicing for the war with Germany. But a school friend pointed out to him that this was indeed the start of the war. Instead of being scared, young Joseph thought this was a great adventure, just like out of one of his favorite books by Karl May. School was canceled and Joseph thought this was a fine idea. Although he enjoyed school and was enrolled in Jewish school were Hebrew and Polish studies were taught. This is the type of person Joseph was, brave and carefree. He loved to run around with his friends. He loved movies, riding the tram, playing soccer and going to the park, known as The Planty. But all of this was going to change for him. With the conquering of Poland, the German government moved in and restrictions for Jews began to take place. I liken Joseph’s life to that of a funnel, wide and spacious at the beginning. All the opportunities were open to him: education, work, freedom, but as the funnel closed and Joseph had no choice but to be pushed through, his life became more and more restricted. The family business was taken away, Joseph could no longer ride the tram with absolute abandon the way he liked to do. He couldn’t even sit on a park bench. Movies were banned and a curfew was set. 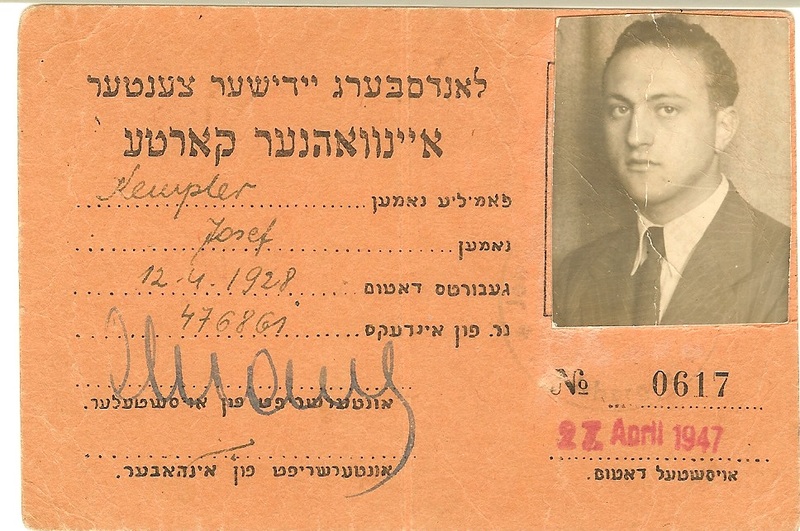 The Krakow ghetto was being built and qualified Jews, those who could offer something to the war movement, or who were considered valuable to the work force were relocated there. Joseph and his family were not approved to live in the ghetto. When the order came that they would have to abandon their apartment they had nowhere to go. Joseph’s grandmother, Babcia, knew some people in a nearby village. They were a Catholic family willing to house the Kempler family in exchange for rent money. The family was soon living in this peasant village. They stayed here for almost two years. Joseph often reflected that if he could have remained in that village for the duration of the war he would have been perfectly happy. But that wish was not to be. The first to be relocated was Dolek, who was taken to a labor camp near Krakow. Then one day an order came that the family were to be relocated for resettlement in the east. The family knew what this meant: either deportation to a work camp or death. Joseph felt it was a death sentence, but there was little a fourteen-year-old boy could do. There was a Polish policeman who was instructed to guard the family and make sure they were on the transport to the Bochnia ghetto. He was known as a ladies man. He said something could be worked out if Mrs. Kempler agreed to meet him. She dressed in her finest and set out to meet the police man. Although innocent Joseph knew this was a sexual assignation. He felt angry and betrayed by her actions. He also felt guilty because he hoped she could save them. This was the beginning of Joseph’s emotional numbness. He shut out all the love he once felt for his mother. He didn’t want to feel anything at all. That night the policeman failed to show up for guard duty and the family made their escape to a nearby forest. Joseph felt burdened with the responsibility of caring for his family. He determined that he would have a better chance of surviving without his parents. He told them he was going to sneak into the Krakow ghetto. He hoped from there he could sneak into the same work camp, Rakowice, that his older brother Dolek was working in. This began his concentration experience. Rakowice was an airport run by civilian Germans. Joseph knew that to get into this camp he had to lie about his age. He told the barrack overseer that he was nearly sixteen, and they let him in. The work was hard for a young boy. At times he thought he couldn’t do it. Gradually the camp Plaszow was being built. This was the camp made famous from the movie Schindler’s List. As the Krakow ghetto was being liquidated, surviving Jews were sent to Plaszow. In the summer of 1943 Joseph was relocated to this horrible, dangerous camp. In the spring of 1944 Joseph was sent to Zakopane where the German army was building a hydroelectric plant. He was made to dredge stones out of a frigid, rushing mountain stream. After returning to Plaszow Joseph encountered a completely different camp. It was chaos. As the Soviet army was advancing the camp was being evacuated. Joseph and his brother Dolek were then put on a cattle car in the hot August sun and left to die there. The train finally departed for Auschwitz but didn’t unload its miserable cargo because the Nazis were too busy killing tens of thousands of Hungarian Jews. The train continued for several days without food or water, people died rapidly. When the train stopped it was at the next diabolical camp, Mauthausen a death by work camp. 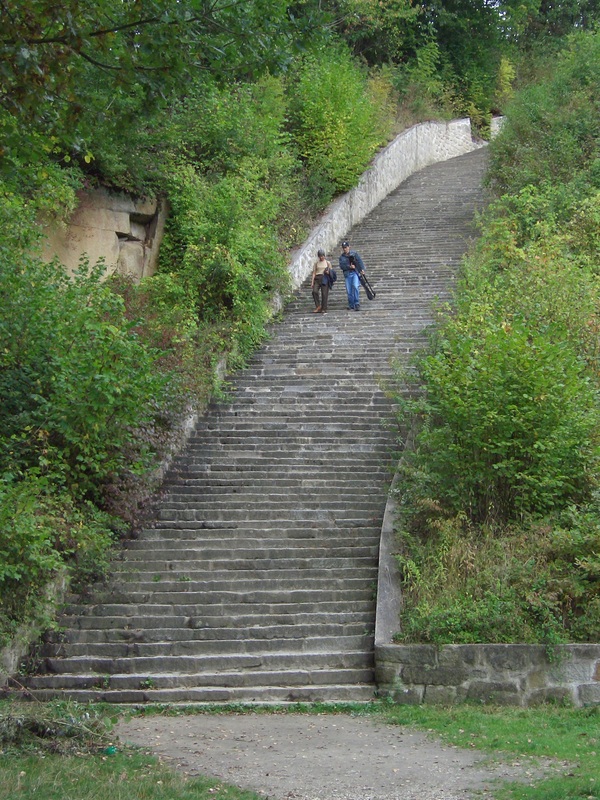 Joseph was forced to carry stones up the infamous 186 steps. After surviving a month of this, Joseph was placed in a train and sent to the camp of Melk where they were building tunnels and underground factories. It was here that he encountered an unusual brand of Aryan, they were Christians imprisoned in the same camp because they would not support Hitler or his war. They impressed Joseph by their excellent conduct under duress. He was puzzled by them since he had long since abandoned his faith in God. He often wondered how they could do what they did. This meeting wouldn’t impact him fully for many more years to come, when he would find the faith he had abandoned, this time in a Christian religion. April 1945 Joseph was made to march on a death march to the next camp, Ebensee. A month later he was liberated from Ebensee in May 1945. He weighed less than 60 pounds and was near death, the Mussulman stage, or walking dead. It’s at this point that Joe was squeezed into the narrowest part of the funnel, but miraculously with his newly found liberation he was set free, although he still likened it to a concentration camp, but instead of Nazis guarding him, it was now American soldiers. Soon, he would taste freedom in the fullest sense. Joseph knew his father had died in a ghetto, and that most likely his mother and grandmother had died at Auschwitz, but he wondered who else from his family had survived. He spent some time looking for them, but to no avail. He eventually got news that his brother Dolek had died from Typhus in Gusen, but had no word about his sister, Dziunka. One day he met a man who insisted he knew who Joseph’s sister was and that she was alive in a German displaced persons camp. He had Joseph writer her a letter addressing it simply Judyta (German for Dziunka) Somewhere in Germany. Like a miracle the letter found her. 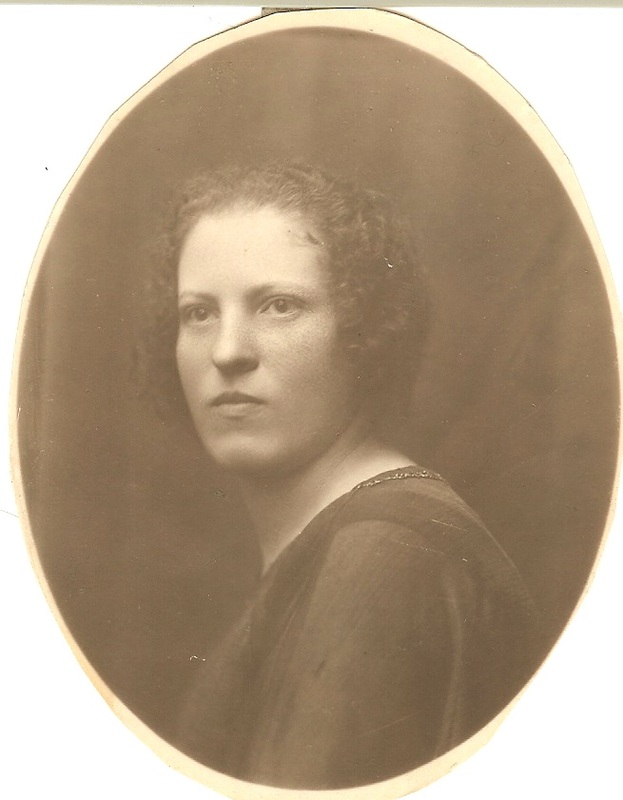 She made arrangements to get herself to Austria and find her brother. The two were later reunited. 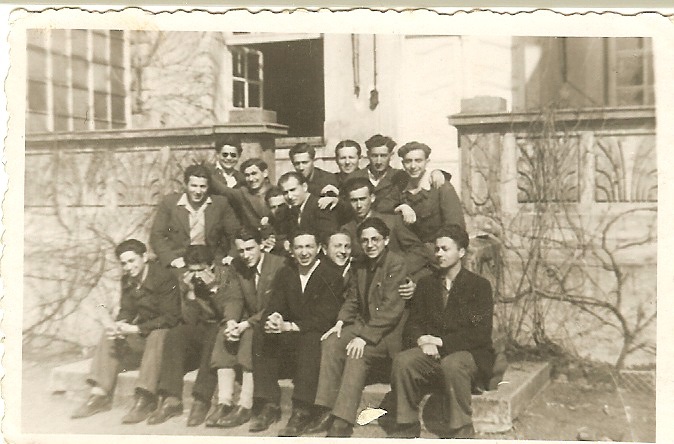 Together they made their way back to Germany to the Landsberg displaced persons camp. Joseph spent the next two years in displaced persons camps. He learned English and a trade, radio repair work. Then in 1947, he emigrated to America where in 1953, he married Holocaust survivor Marion Dreifuss. She died soon after of Hodgkin s disease, leaving Joseph with a tiny daughter. Susan had been placed in an orphanage ever since she was born due to her mother’s illness. Now, Joseph was torn on the decision of what to do with her. He wasn’t in a position to raise her himself, but felt sad about giving her up for adoption. His sister Dziunka (Judy) not being able to have children of her own, stepped in and offered little Susan a loving home. After much deliberation Joseph agree to let Dziunka and her husband, Andy, have the little girl as their own. Susan grew up knowing who her real father was. Joseph spent many vacations with the newly formed family and was always, albeit distant, a part of her life. Several years later he met and married Virginia Vrbanich in 1963. Later, they they had two sons, David and Paul. Added to this mix are three grandchildren Andrew, Brian, and Kelly. He is eighty-six years old and lives in Reno, Nevada with his wife Virginia. The Altered I: Memoir of Joseph Kempler, Holocaust survivor is available on Amazon.com, Google Play, and Sundance Books and Music. To read an excerpt from THE ALTERED I: MEMOIR OF JOSEPH KEMPLER, HOLOCAUST SURVIVOR click here. 2nd Annual Holocaust Remembrance Day Event Guest Speaker: Me! April 7 is a special day for me and Joe. This year we were invited to speak at the Second Annual Holocaust Remembrance Day event at the University of Nevada, Reno. This is event is sponsored by the Osher Lifelong Learning Institute in partnership with the University’s Interfaith Students Club. We were invited to speak on the theme Genocide. We have been generously given twenty-five minutes in which I will speak for ten minutes about Joe’s history and the six concentration camps he was imprisoned in as well as a plug for Joe’s memoir THE ALTERED I. Then I thought it would be neat if Paul (Joe’s youngest son) would speak for five minutes on what it was like to have a Holocaust survivor as a father and how genocide has affected his life as a second generation Holocaust survivor. And the crowning jewel of our presentation: Joe will have ten minute for a Question and Answer session. I think this will be a stupendous opportunity to spread Holocaust awareness as well as share Joe’s story. I’m nervous but happy and greatly honored that we were asked to speak at this important event.